All properties also offer cycle storage, off road parking, a shared lawned garden and a private patio with garden furniture and BBQ. The cottages have mains water, central heating and free WiFi. In addition, there is a Games Room with a pool table, table tennis and table football and a soft play corner for toddlers also an outdoor children’s play area with swings, slide and trampoline. Pets allowed in the Barn & Dairy cottage at owners discretion and no smoking or vaping in any cottage. 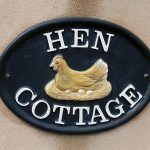 Our Hen cottage comfortably sleeps 6 guests and has a lovely open plan ground floor with a lounge come diner that can be opened out even further to a personal patio area via large French doors. The kitchen is adjacent to the diner and has all the necessary appliances to help you cook up a feast for friends and family. 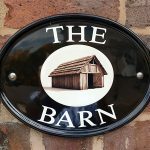 The newest of our cottages the Barn sleeps up to 6 guests and is a large spacious cottage allowing you to feel at home. A big kitchen space is bright and large enough to accommodate plenty of hungry friends and family around a large solid oak table. 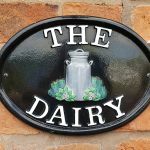 The largest of our three cottages able to sleep up to 8 guests the Dairy offers everything you need for a holiday with friends and family. The kitchen is a spacious area with a large dining table perfect for getting around to socialise. Quiet and peaceful the CP has hard standings on a level base for five caravans. All five pitches have individual electric points. There are 3 water taps spaced between the 5 standings. Quiet and peaceful the CP has five pitches available for tents. Open all year round. 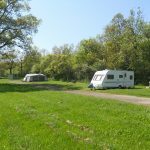 Dogs allowed – including bath area for your mucky pups.